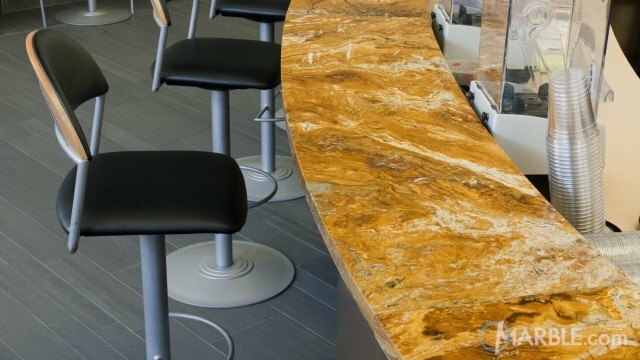 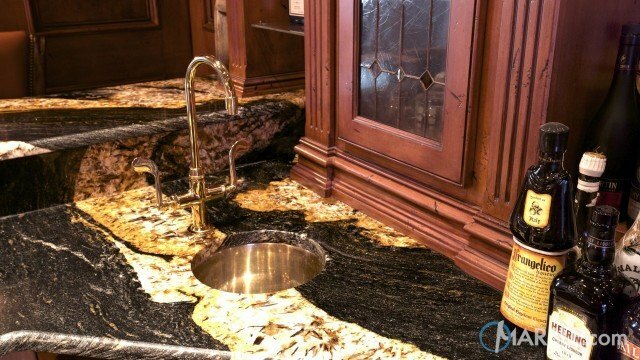 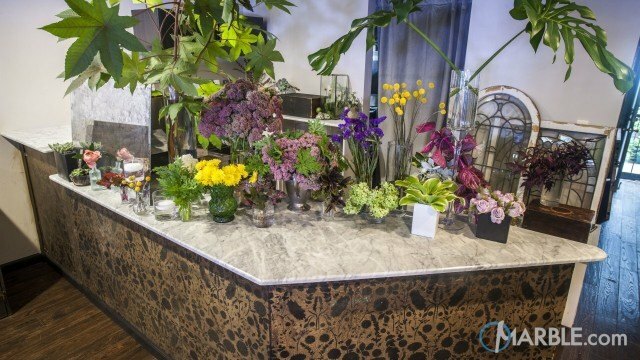 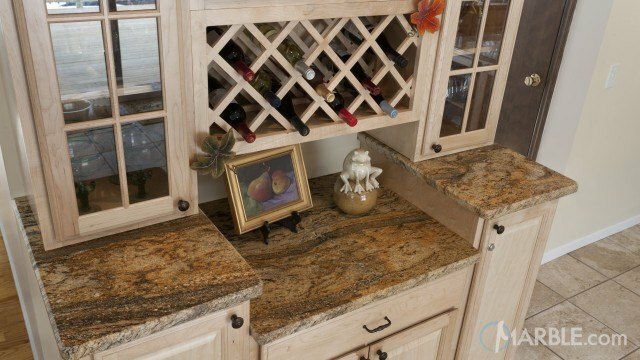 Colonial Gold granite crowns this beautiful wine bar. 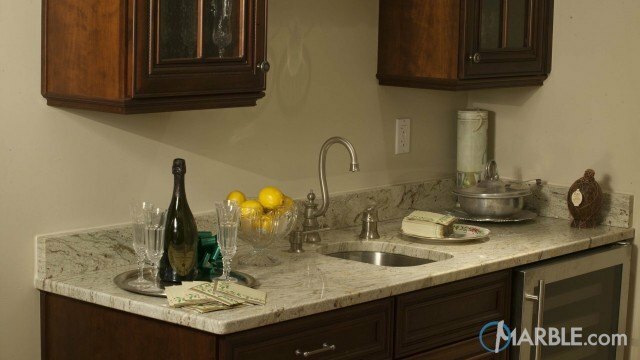 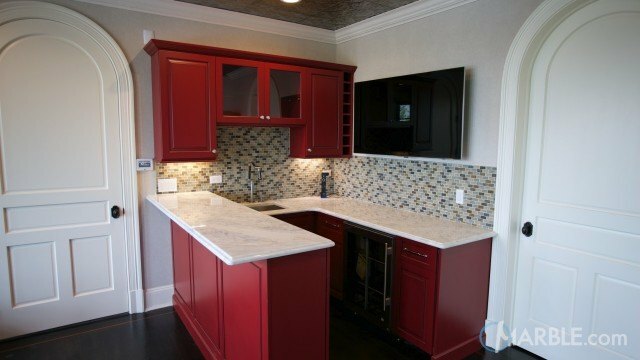 Set off by the dark wood cabinets, the granite shines and adds a touch of elegance to the bar top. 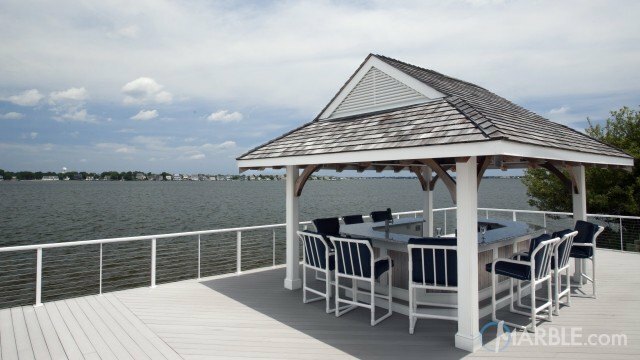 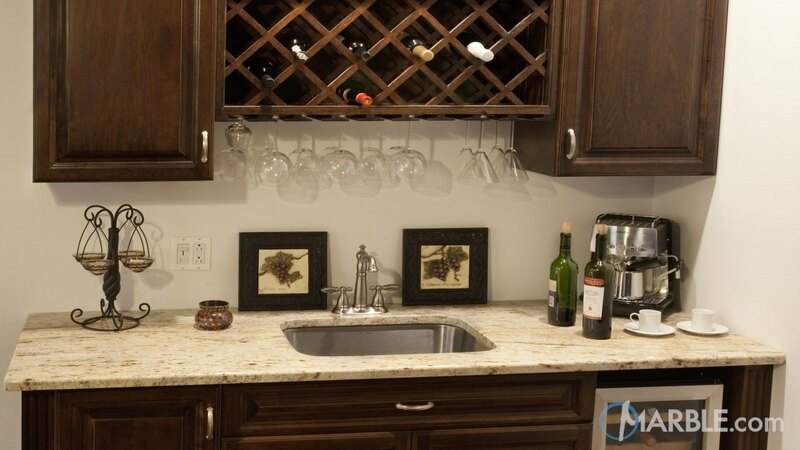 Wine bottles and hanging glasses are at the ready thanks to built in storage. 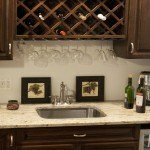 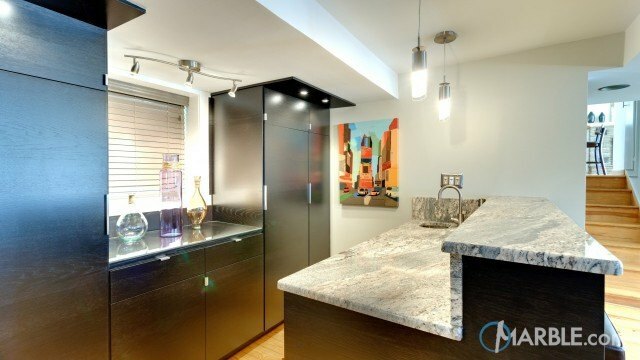 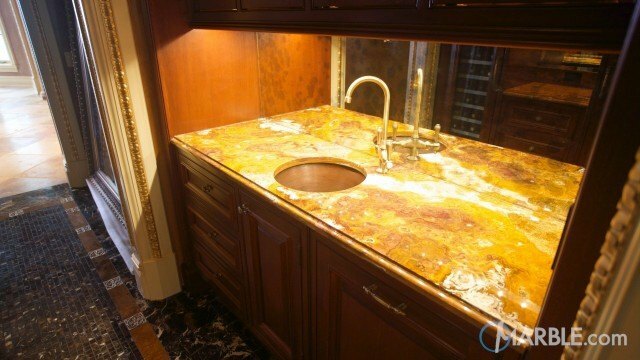 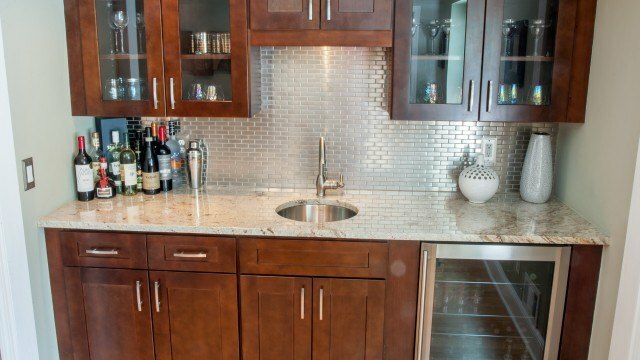 A stainless steel sink adds a timeless look to this classic wine bar.